North entertains South on Matchday 10 as Hamburger SV welcome long-term Bundesliga rivals FC Bayern Munich to the Imtech Arena on Saturday (kick-off 18:30 CET). Despite there being a lengthy 776 kilometres between the two top-flight stalwarts, the Nord-Süd-Klassiker is very much a derby in its own right. "In Hamburg, I think the Bayern game ranks even higher than the Northern derby [against Bremen]," said former player Hasan Salihamidzic, who knows as well as anyone how much the "Klassiker" means to both sides, having spent four years at Hamburg and nine at Bayern. "When Bayern come to Hamburg, it's about honour. It's the game of the season and very important. Its status is enormously high," he added. Another ex-pro able to offer a unique two-sided insight into the clash is Thorsten Fink. The current Hamburg coach enjoyed six trophy-filled years in Bavaria, winning four Bundesliga titles, three German Cups and the UEFA Champions League. "For me, it's a really special game, but I'm at HSV now and we want to beat Bayern," affirmed Fink in his pre-match press conference. Hamburg's current crop are equally keyed up for the visit of the Bundesliga leaders, with the northern club's 'little angel', Rafael van der Vaart, chasing a fourth career goal against the Rekordmeister: "I have great memories of playing against Bayern. The game is also really special, not just for HSV but for every team in the Bundesliga. Everyone wants to beat them. Of course, I do as well." Indeed, there's no greater scalp in the Bundesliga than a win over the mighty Bayern, who have plenty to prove after their record-breaking season start came to an abrupt halt last time out at home to Bayer 04 Leverkusen. "It's important that we don't get cocky. We should never take our foot off the gas. 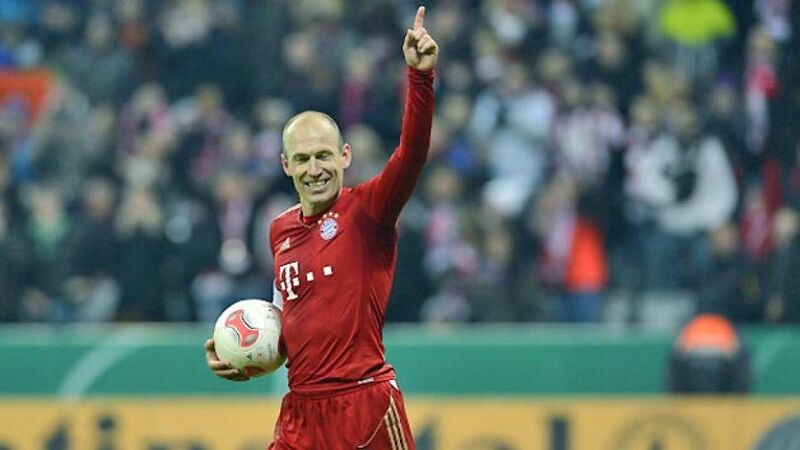 We have to be self-critical and we want to improve," vowed van der Vaart's Dutch counterpart Arjen Robben. The seventh-placed Red Shorts are expected to make a couple of changes from the side that beat Augsburg, with Tomas Rincon a more defensive-orientated option to Tolgay Arslan and Ivo Ilicevic fit again after injury. A thigh problem rules out Petr Jiracek, while Slobodan Rajkovic is suspended. Bayern coach Jupp Heynckes could again be without Franck Ribery, but has a readymade replacement in Robben after the Dutchman marked his first return from injury with two DFB Cup goals against Kaiserslautern. Rotation has been key to the league leaders' success so far this season, with Luis Gustavo and Mario Mandzukic likely to get the nod over Javi Martinez and Claudio Pizarro.